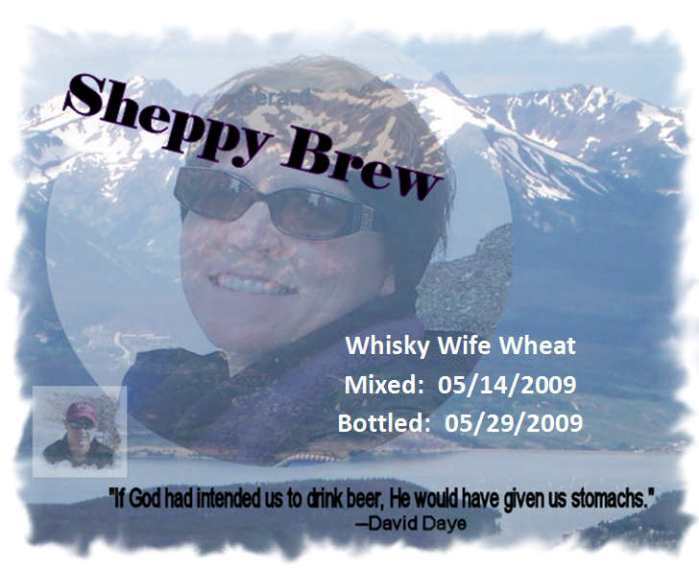 Well, my hot brewing model liked Whisky Wife Wheat, but I really think that hefes are not really a style of beer that interests her as much as Belgium Wit beers. She likes her Shock Top and Blue Moons, and my Whisky Wife Wheat should really be more along those lines.... lighter with less of that hefe clove / banana taste and more citrusy orange taste. At the same time, one of my intentions in 2010 was to start moving away from Mr. Beer ingredients. One thing I did was to make WWW both with Mr. Beer and with a completely non-Mr. Beer formulation. The idea was to see which one the beer model preferred. The non-Mr. Beer recipe won easily. The second batch I made of this was for 5 gallons (well... actually split between 2 fermenters, more like 4.8). The cost is about the same as half batch size using the Mr. Beer ingredients. It is very good that this was the preferred recipe. Batch 3, I finally decided to go with an all-grain version of the witbier. To look on my blog for articles specific to this beer, click here. And sometimes when I needed a term-of-endearment for my bride, I would use "Whisky Wife". As in "Hey, Whisky Wife, get me a beer! NOW!" I don't use that one as much as I used to. I should start again. Don't you think?